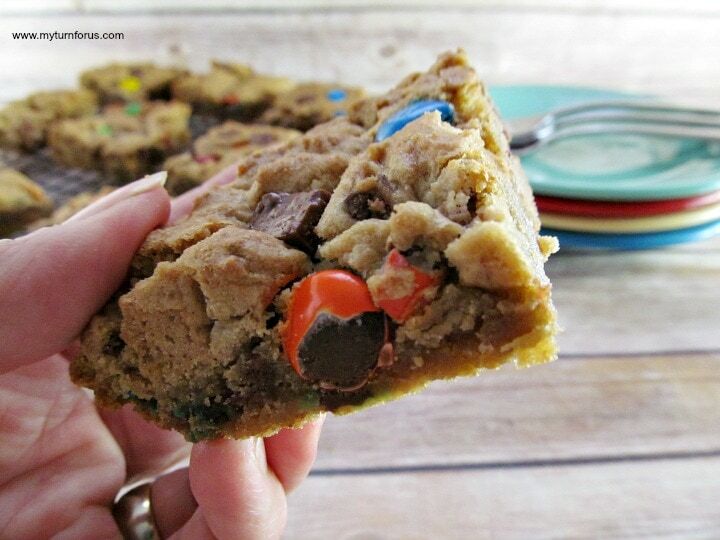 A Basic Brownie Recipe that is filled with candy bar chunks. You ask what to do with leftover Halloween Candy? 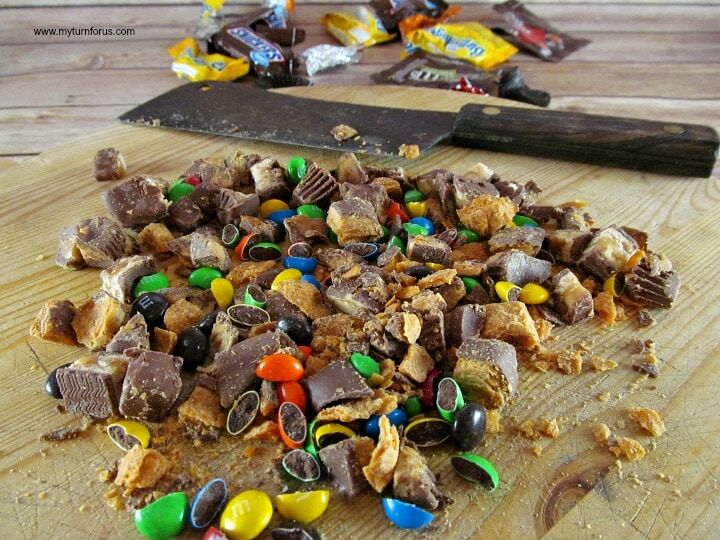 Make these Candy Bar Brownies and make good use of leftover Halloween Candy. 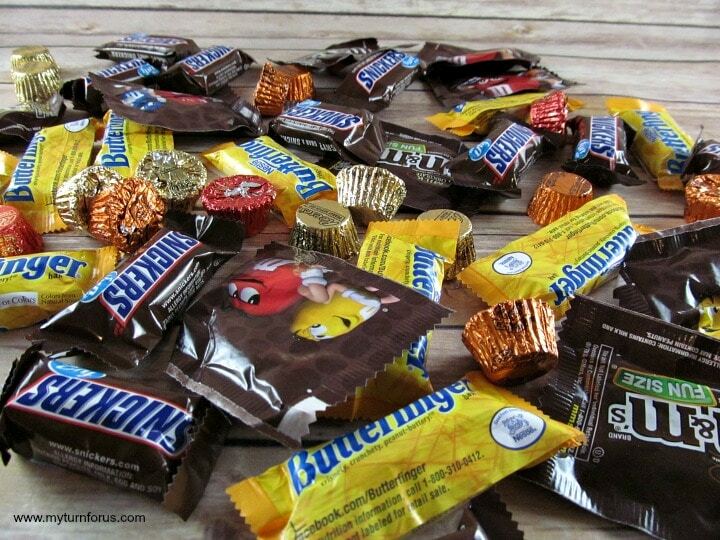 I know it’s the day after Halloween and the candy is piled up, your kids have hit every friend, neighbor and family member and they have a mother lode of sugary treats. And on top of all that, you bought plenty of candy for the neighborhood kids and you still have candy left over. You have visions of nothing but candy wrappers until Thanksgiving. What are we going to do to stop the candy overload? When I was a kid growing up in the early 60’s, we would bring home grocery bags of candy at Halloween. We went to every house as fast as we could and even dropped off a full bag and picked up another empty bag midway into the night and continued until it was too late to stay out. And this was even after mother wouldn’t let us start until it was good and dark. Yeah, that was totally against the rules, it was totally taboo to start trick or treating when the sun was still shining, it had to be good and dark before we left the house. But I don’t think we ever waited, I think mother just got worn down from us asking if we could go out so many times, she would relent. What a different time, a simpler time where kids would leave the house after dark, most of us unescorted by adults and go to any and all stranger’s houses in a 5-mile radius to ring the doorbell and beg for candy. I can’t always remember what I dressed up as or what superhero or character I was but I still remember all that loot. Of course, we didn’t need all that candy and I’m sure Mother would dispose of loads of it. Not sure if anyone worried about sugar overloads in that era but I’m sure mother worried about finding lost pieces of candy “stuck” around the house for the next 6 months. And to her horror, we always had loads and loads of bubble gum. Did anyone besides us fall asleep chewing bubble gum and wake up with it stuck in your hair? I always got into trouble for that one, and all the little gaps cut into my hair, I’m sure were very attractive. I remember we would sit down and go through our riches and trade for our favorites. And one thing that was exactly the same back then as now was the bars of chocolate were always valued, they were the treasures of the night. The house that gave out chocolate bars was always revered and we gave it the upmost respect for all the coming year. The chocolate candy bars are still the treasures of the night, they are not only delicious but can be made into some of the best-baked goods. 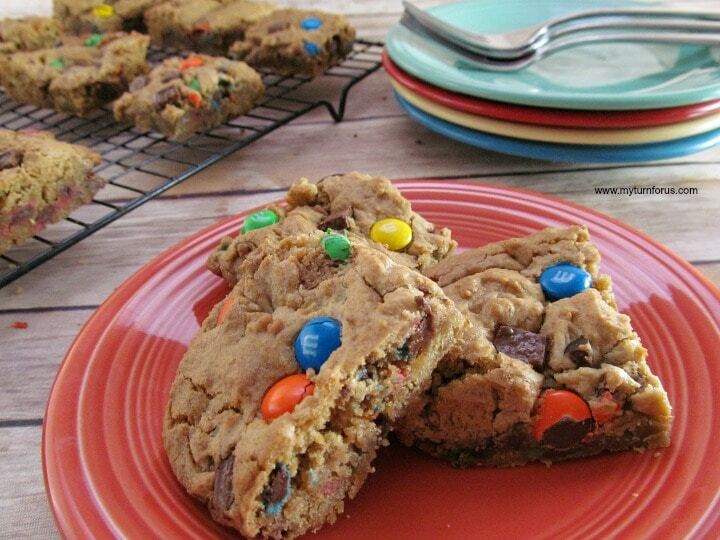 Yep, turn those candy bars into a snack even grandma would approve and appreciate. That’s right it’s time to take it to a whole new level and turn those candy bars into Overloaded Brownies. We start by grabbing several different kinds of chocolate candy and chopping it into bite-size pieces. We used 3 fun size bars or packages each of 4 different kinds of chocolate (Hershey’s bars, Snickers, Butterfingers and M&M’s) and added about 5-6 little baby Reese’s cups. But use whatever candy is your favorite or your kid’s favorite or your hubby’s favorite. I have a granddaughter that doesn’t like nuts or peanut butter or anything that tastes similar so I make two batches, one with everything nutty and one without. Throw all that chocolate into a basic brownie mix and you have not only Loaded brownies but Overloaded Candy Bar Brownies. A brownie that your children will beg you to make, I bet they will totally donate their prized chocolate bars to the endeavor. 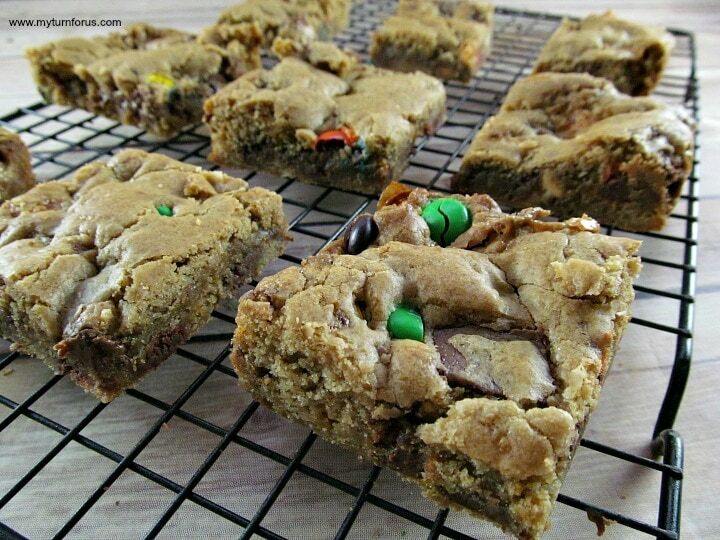 These Overloaded Candy Bar Brownies are filled with leftover Halloween candy bars. A bite into these brownies delivers that special blend where the crust is done on the outside but they are still nice and chewy on the inside and the chocolate taste explodes in your mouth and will make your taste buds swoon. Press batter into baking pan. Bake in the preheated oven until golden brown, 20 to 25 minutes. Cool in pan for 15 minutes on a wire rack. 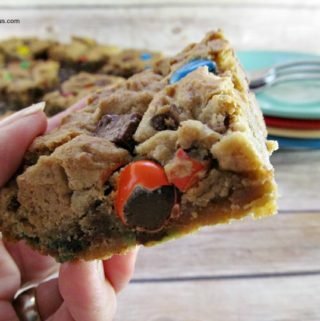 These look yummy and are a great idea!